64 footer houseboat for less than a Ferrari … in time for FIFA14 World Cup! It is only in Singapore that the all knowing government implementing its various policies very often distorts the prices of various consumption goods and also exacerbate the economic shocks that buffet this island from time to time. Asianmacro looking out of his window across to the Indonesian islands is sore that we have to pay the highest price in the region and probably the world just to watch the upcoming FIFA 2014 World Cup http://www.goal.com/en-sg/news/3880/singapore/2014/03/18/4690244/singapore-costliest-place-to-watch-world-cup. Well lo’ and behold, fret not. For less than a price of a Ferrari (any new model basically), you can have more metal by weight and horsepower too in getting this houseboat. 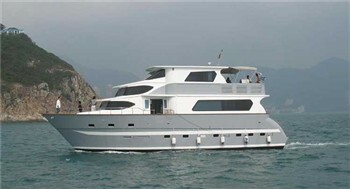 http://www.simpsonmarine.com/en/brokerage/brokerage-yacht-details.aspx?id=300&fType=0&fPriceMin=3&fPriceMax=4 . All 3000 square feet of living space in this 64 footer, to plonk down the latest Ultra-Wide screen TV. And sail it nearby to Sister’s Island or just off Batam or Bintan if the TV signals are better; and you can watch all the FIFA 2014 World Cup action to your heart’s content … FOR FREE! Asianmacro is always on the look out for an arbitrage and this probably comes close to one. OK, now to get the Powered Pleasure Craft License http://www.mpa.gov.sg/sites/recreation_and_leisure/leisure_boating/introduction_to_pleasure_craft_licensing.page … or to find somebody who already has one and split the bill for the boat ! *OK, it’s just a thought but Asianmacro will be tuned to Indonesian TV during summer. Sell in May & Go Away … the question is what?